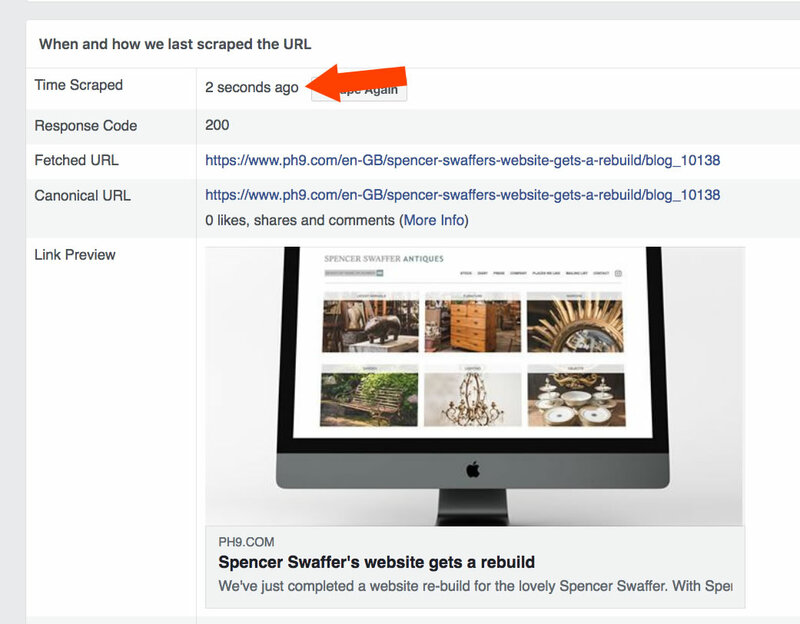 Ever posted a page from your website on Facebook and no image appears? Ever posted a page from your website (eg a product or a blog article you've created) and no image shows up? 2) Facebook checks to see if there are any special "Open Graph" tags on it, which specify things like the name of the page, the picture which should represent it, etc. The majority of websites we've created in the past few years have these tags set up already. If you've using one of our websites which is a little older, ask us to add these tags in for you (a small fee may apply). Facebook recommends that the images referenced on the page are at least 1200 x 630 pixels. 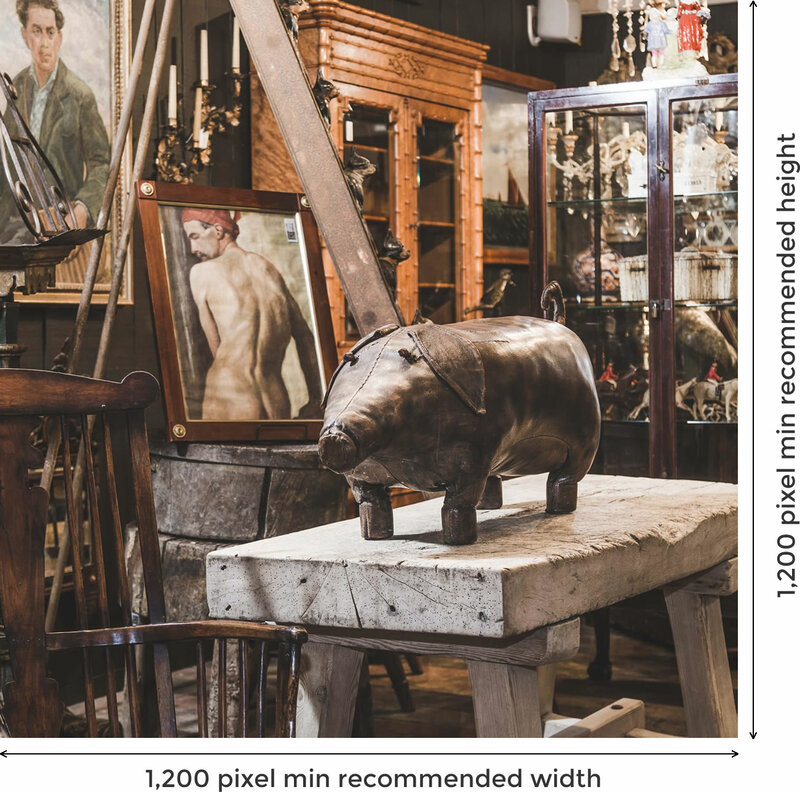 Apparently you can go as low as 600 x 315, but I wouldn't recommend it as the image could look blurry or pixelated, especially on modern retina screens. 3) Ask Facebook to "refresh" its memory of the page. You can do this using Facebook's debugger tool. 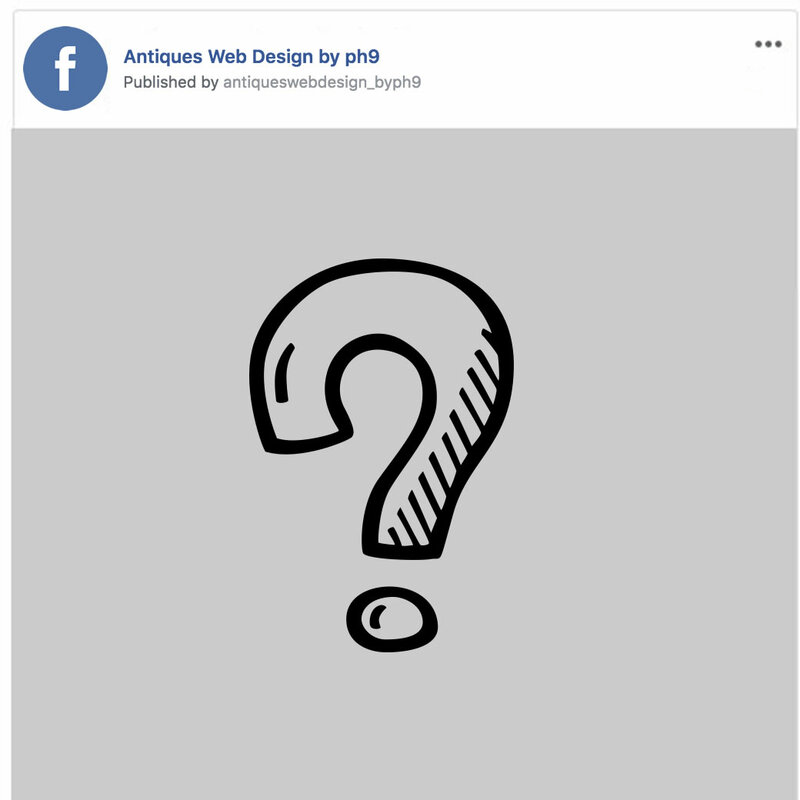 c) Paste in that web address from step (a) into the Facebook debug tool and press "Debug"
h) If you've changed the image (or uploaded a better one), or updated any of the information, press the "Scrape Again" button towards the top of the page. This will prompt Facebook to reload the page. Note that it can take Facebook a few seconds or so to update the page information and picture preview. In most cases, as long as you OpenGraph tags set up, have an image uploaded for any pages you share on your website, and as long as that image is large enough, you shouldn't have any issues or problems. However if you do, simply use the tool and instructions above to get Facebook to refresh the information. I hope you've found this guide useful!